Peter Guber, Chairman and CEO of Mandalay Entertainment Group, has been a force in the entertainment industry for over thirty years. He has leveraged his creativity and business acumen into record-breaking profits and critical acclaim, establishing him as an enormously successful executive and entrepreneur in the entertainment and communications industries. Films he personally produced or executive produced, including Rain Man, Batman, The Color Purple, Midnight Express, Gorillas In The Mist, The Witches of Eastwick, Missing and Flashdance, have resonated with audiences all over the world, earning over three billion dollars worldwide and garnering more than 50 Academy Award nominations. Guber joined Columbia pictures in 1968 and within three years became Studio Chief. During his tenure at the creative helm, Columbia surged to record breaking profits on the strength of such box office hits as Shampoo, Taxi Driver, Tommy, The Way We Were and Close Encounters of the Third Kind. In 1976, following his entrepreneur instincts, Guber founded Casablanca Record and Filmworks. Its record operation included such superstars as KISS, Donna Summer and The Village People. It also included some of the most successful soundtracks of all time including Flashdance, which sold more than 14 million albums. In 1979 Guber formed PolyGram Entertainment where he was Chairman of the Board and CEO. He sold his interest in Polygram in 1983 and formed and served as Co-Owner of the Guber-Peters Entertainment Company (GPEC) which established a major presence in motion pictures, television and music including producing the music and official soundtrack for the 1984 Summer Olympics. Within five years, GPEC became a public company and in 1989, was acquired by Sony Pictures Entertainment. In 1989, Guber reached a personal milestone when he was named Chairman and CEO of Sony Pictures Entertainment (SPE). Under his visionary leadership, the company re-framed its entire Loews exhibition circuit, introducing Sony’s SDDS sound system, introduced the concept of IMAX theater and films integrated into multi-plex theaters and transformed the Sony lot into a state of the art digital production facility. SPE’s motion picture business earned an industry best domestic box office market share averaging 17% over four years, propelled by an enormous string of successes including A Few Good Men, Philadelphia, Basic Instinct, A League of Their Own and Sleepless in Seattle among many others. During this same period, Sony Pictures led all competitors with a remarkable total of 120 Academy Award Nominations, the highest four year total ever for a single company. After leaving Sony in 1995, Guber formed Mandalay Entertainment Group as a multimedia entertainment vehicle in motion pictures, television, sports entertainment and new media. Mandalay Pictures is a pre-eminent motion picture company that finances, produces and distributes motion pictures for the global marketplace. It’s box office hits include I Know What You Did Last Summer, Seven Years in Tibet, Sleepy Hollow, Enemy At The Gates, The Score, Into the Blue, Darfur Now and Never Back Down among many others. Mandalay Series Television has enjoyed great success with Cupid, Mercy Point, Rude Awakening, Oh, Baby, and the critically acclaimed television series, Brotherhood, winner of The George Foster Peabody Award. Mandalay Television has produced eight original Movies of the Week for Lifetime Television, based on the books of the world renowned and best-selling author, Nora Roberts. The Nora Roberts franchise has been a worldwide ratings success for the cable network. In 2010, Mandalay Vision was launched as an independent development, production and financing company. Backed by a strategic investment from the Mandalay Entertainment Group, Mandalay Vision’s first release, The Kids are All Right, starring Julianne Moore, Annette Bening and Mark Ruffalo was the 2010 Sundance Film Festival darling and opened with the best-per-theater-average of any film released in 2010. Other upcoming releases for Mandalay Vision include The Whistleblower, starring Rachel Weisz, Vanessa Redgrave and David Strathairn; and Vanishing on 7th Street, starring Hayden Christenson, Thandie Newton and John Leguizamo and financed by Herrick Entertainment. In addition, Mandalay Vision is currently in post-production on Soul Surfer, based on the autobiography of teen surfer Bethany Hamilton, starring Dennis Quaid, Helen Hunt and AnnaSophia Robb. Also in post-production is Salvation Boulevard, starring Pierce Brosnan, Greg Kinnear, Jennifer Connelly, Marisa Tomei and Ed Harris. Following his location based entertainment leadership experience with Loews, Guber expanded Mandalay into a national entertainment sports provider with Mandalay Sports Entertainment. He serves as Chairman of the Board of Directors for Mandalay Baseball Properties (MBP), a subsidiary of Mandalay Sports Entertainment which includes professional baseball franchises, sports marketing, stadium development, ownership, management and consulting. The six sports franchises that MBP owns, operates and/or consults with are Single-A, Double-A and Triple-A affiliates of the New York Yankees, Cincinnati Reds, Texas Rangers, Detroit Tigers, the Houston Astros and the Chicago White Sox. In November of 2010, Peter Guber, together with Joe Lacob, Managing Partner of Kleiner Perkins Caufield & Byers, acquired the Golden State Warriors. Guber is owner and co-executive chairman of the NBA franchise that services the Bay Area. In 2009, Guber co-founded GeekChicDaily with Wizard Entertainment’s Gareb Shamus and digital entertainment entrepreneur, Peter Levin. GeekChicDaily, is a free opt-in daily email newsletter and website designed as a one-stop resource for relevant and discerning content for video games, technology and applications, comics, collectibles, gear and TV and film. Leveraging Shamus’ Wizard Entertainment platform, GeekChicDaily is entering the market with a loyal base of followers. Guber is an investor in Demand Media who appointed him to its board of directors in early 2010. Demand Media, a leading content and social media company, is at the forefront of the new media landscape with a unique model and rare expertise that makes it an attractive online partner for traditional entertainment and publishing companies. Peter Guber is a full professor at the UCLA School of Theater, Film and Television and has been a member of the faculty for over 30 years. He is also a member of the UCLA Foundation Board of Trustees, as well as the winner of UCLA’s prestigious Service Award for his accomplishments and association with the university. Guber is the Chair of the Founding Board of Advisors for The Center for Managing Enterprises in Media, Entertainment & Sports (MEMES) at the UCLA Anderson School of Management. MEMES was established as the preeminent Center for thought leadership and management education in the global media, entertainment and sports industries. Guber has turned this legacy and experience in front of the camera where he has been seen every Sunday morning for six years on American Movie Classics (AMC) cable network, as co-host of the critically acclaimed national TV show, Shootout. AMC moved Guber’s talents to prime time with a series of one hour specials in 2009 called StoryMakers. He can currently be seen as co-host of In the House, a weekly, national half-hour news and interview show on Encore and KNBC. The show focuses on industry trends in pop culture, providing a platform for major stars, key filmmakers and other creative and business leaders to comment on their industry. 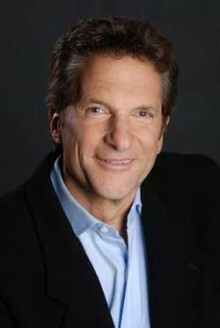 Peter Guber is a noted author with works including “Inside The Deep” and the L.A. Times best-seller “Shootout: Surviving Fame and (Mis)Fortune in Hollywood.” In December 2007, Guber wrote the cover article for the Harvard Business Review titled,” The Four Truths of the Storyteller.” Guber has also authored op-ed pieces for the New York Times and the San Francisco Chronicle. His third book, “Tell To Win – Connect, Persuade, and Triumph with the Hidden Power of Story” will be published by Crown March 1, 2011. The core message of his forthcoming business book is that a purposeful story, well told, can move people to shared goals and greater success. A passionate, humorous, and tireless motivator, Peter Guber is a sought after speaker at numerous global events. He is a weekly entertainment and media analyst for Fox Business News and has also appeared on ABC’s Good Morning America, NBC’s Today Show, CNBC’s The Big Idea with Donny Deutsch, Fox News’s Your World with Neil Cavuto, Chris Matthews’ Hardball, CNBC’s WSJ with Maria Bartiromo, CNN Paula Zahn Now, CNBC’s Power Lunch, and 20/20 with Elizabeth Vargas. Do you want to hire Peter Guber? Directly request a quote. In 48 hours we can send you the availability of Peter Guber If you would like to book Peter Guber, Entertainment Booking Agency is the right place. We will offer you the best price and contact the management or we directly contact Peter Guber. For corporate appearances or speaking engagements you can contact our agents and the will help you true the process. Tags: hire Peter Guber, Peter Guber booking, book Peter Guber, Peter Guber appearances, find more information on booking Peter Guber for appearances, Peter Guber speaking engagements, Peter Guber endorsements/spokesperson, Peter Guber appearance fees, Peter Guber booking agency contact info, biography of Peter Guber, Contact an artist booking talent agent find a speakers bureau that can book Peter Guber, speaker booking agency for Peter Guber, Peter Guber booking agency, Peter Guber booking for corporate event. EBA is one of the biggest entertainment booking agencies in the World. We book hundreds of celebrities, artist, athletes and speakers in a year. Important to know is that we are not claiming to be the management of Peter Guber. We are not the official agent for Peter Guber. Companies from around the globe book these artists and speakers true our company be course we have one of the biggest networks and we always have direct contact with the artist or the management. We help you to find the right celebrities for your corporate of private events. Please contact one of our agents to get free advice and we will help to get the world-famous artist on your party.